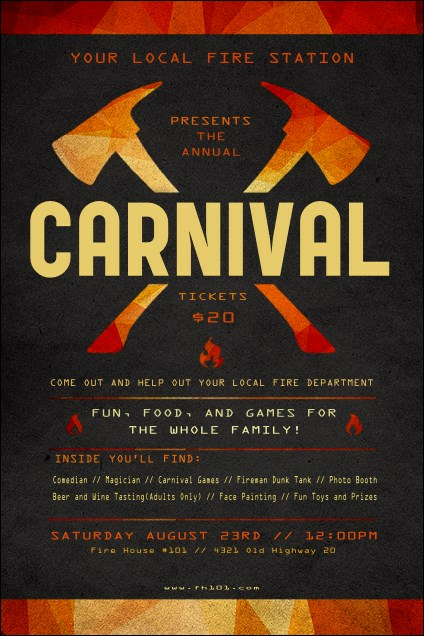 Generate community support for your fundraiser when you post the Fire Department Poster in advance. This vibrant template has a smoky grey background, with bright orange flames behind it. Orange and white text stands out, announcing all of your details. Combine with a Matching Event Kit for coordinating tickets, invitations and flyers! Sound the alarm for your event with the right poster from TicketRiver.com.au.